Ships today if you order in the next 5 hours 30 minutes. 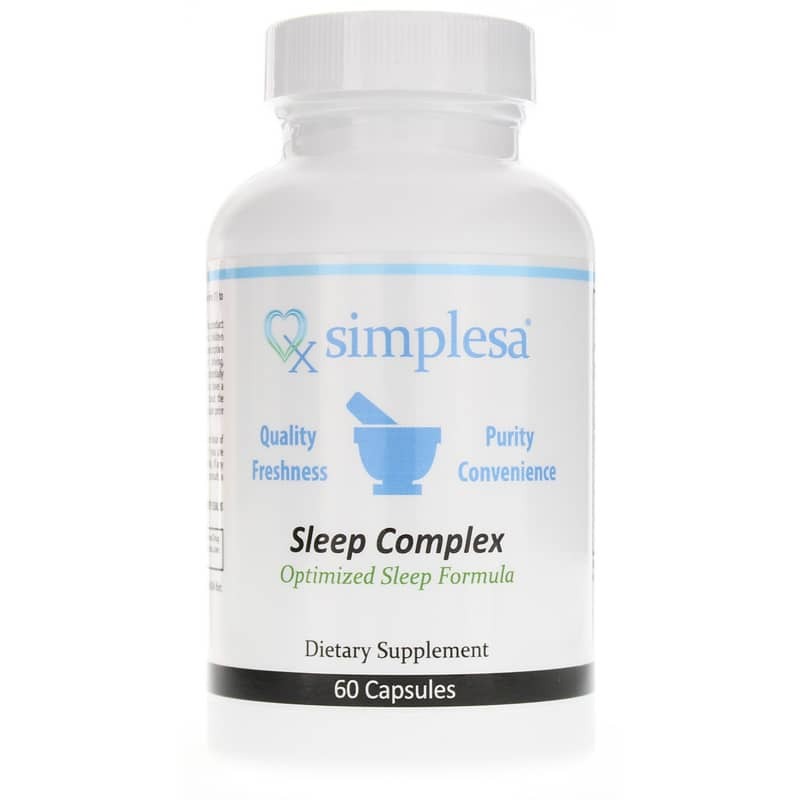 Sleep Complex from Simplesa is a nutritional supplement that combines melatonin with vitamin B6, magnesium, and a botanical blend of valerian root, hops flower, passion flower, chamomile flower, L-Taurine and more, formulated to provide sleep support. Botanical blends have been used in traditional herbalism for simple sleep support. However, combined with modern technology, Sleep Complex also offers calming mood support, promoting a restful, natural sleep cycle. Take just one or two capsules before bedtime. 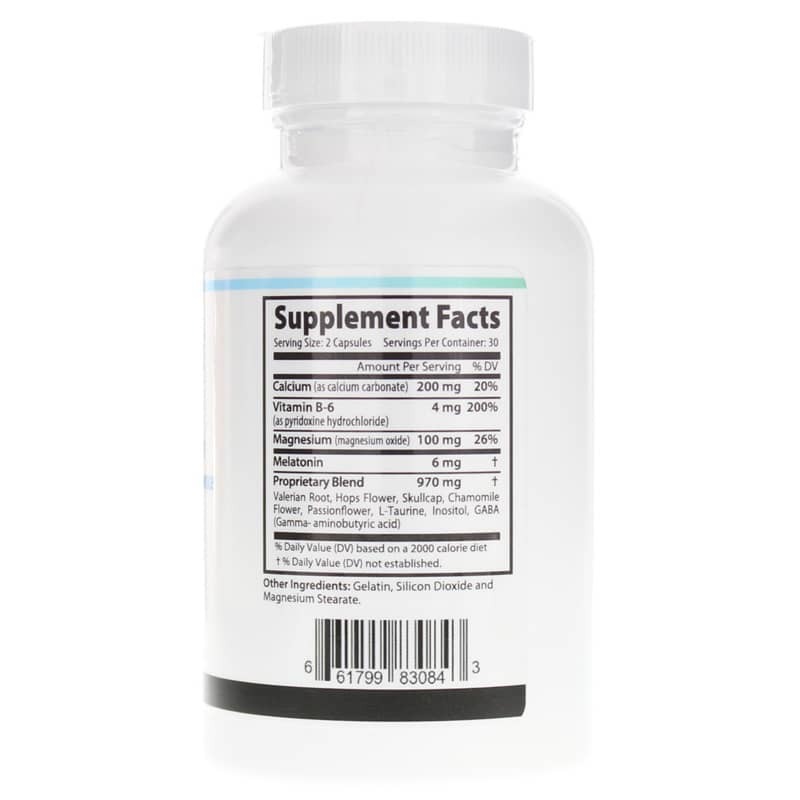 The melatonin in this supplement is easily absorbed and promotes the body's natural sleep cycle in this non-addictive supplement. Melatonin is a hormone produced in the pineal gland, which provides antioxidant support and is a natural sleep aid. If you’re looking for natural sleep support from a convenient dietary supplement, try Sleep Complex from Simplesa and see if it makes a difference to your health. Adults: As a dietary supplement, take one to two capsules before bedtime or use as recommended by your healthcare practitioner. Do not exceed recommended dose. 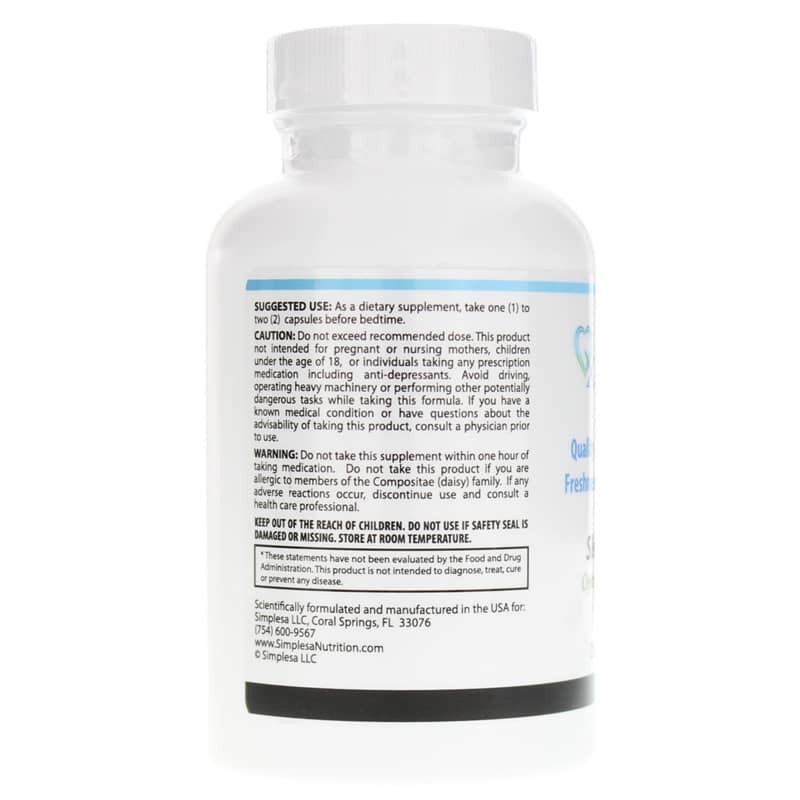 This product is not intended for pregnant or nursing mothers, children under the age of 18, or individuals taking any prescription medication, including anti-depressants. Avoid driving, operating heavy machinery or performing other potentially dangerous tasks while taking this formula. If you have a known medical condition or have questions about the advisability of taking this product, consult your physician prior to use. Do not take this supplement within one hour of taking medication. Do not take this product if you are allergic to members of the Compositae (daisy) family. If any adverse reactions occur, discontinue use and consult a healthcare professional. Keep out of the reach of children.